I’m still kind of in awe of powdered peanut butter. It is amazing to me that it has so few calories but still basically tastes the same as regular peanut butter. I found this magical substance, “astronaut peanut butter” as I like to call it, when I started Weight Watchers. It was quickly apparent that there wasn’t room for full-fat peanut butter in my daily point plan. There are bunch of different brands available including PB2, PBFit, PB Trimmed and TruNut and these come in a variety of flavors including chocolate, honey and salted caramel. I posted a taste testof all of the ones I have tried and will update it when I have tried more types! 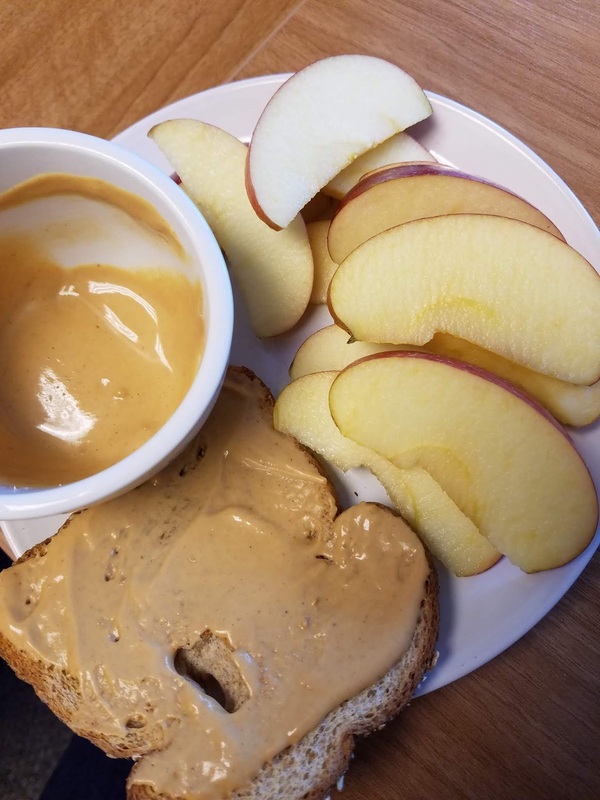 Peanut butter toast and fruit dip! This is the most obvious way but really, when mixed with water you will barely notice the difference. I prefer PBFit for “regular” peanut butter use. I put it on toast, in wraps and dip fruit in it. You can replace up to half of flour in recipes with powdered peanut butter! This will make your recipes healthier by adding extra protein. It is also fewer Weight Watchers points than flour. You can try this in my black bean brownies, where I added it instead of flour to make them more cake-y. 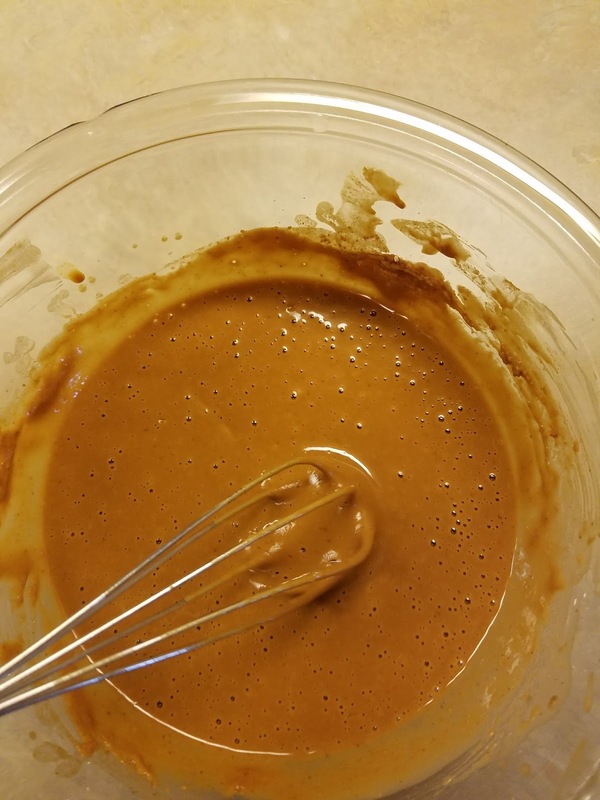 You probably can’t replace all of the flour in regular recipes with the powered PB so you might need to experiment a little bit; I have had success replacing up to half of the flour without having to make other changes. Instead of using protein powder, you can add peanut butter powder to your smoothies to add extra protein. 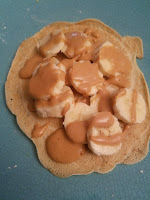 It can also make them peanut buttery, which is great with certain fruits like bananas. Blended fruit does have points on Weight Watchers, so keep that in mind. Instead of indulging in something like chocolate sauce, you make a drizzle to put on top of your favorite dessert such as ice cream. To use it like this you want to mix it with water as normal but add a little more water until it’s a thinner sauce consistency. I would start with an extra tsp of water and add 1/2 tsp increments after than until it’s how you want it. Chocolate flavored versions are really good for this. Plain yogurt can be really boring, a little peanut butter powder can help to jazz it up. I would add about 2 Tb for 1/2 cup of yogurt. Try this with the chocolate, salted caramel or vanilla flavors for more variety. Especially if you are doing Weight Watchers, you need something to jazz up your daily chicken breast. Peanut sauce turns your boring chicken into chicken sate! Doesn’t that sound exotic? Here is a recipe for you to experiment with. This was one of the first ways I used powdered peanut butter. I bought some Krusteaz high-protein pancake mix and used some PBFit with it to make 2-point peanut butter pancakes. You can try out these frozen almond milk popsicle with this recipe from PBFit. This blog is not affiliated with Weight Watchers in any way. Points were calculated in July 2017 on the Weight Watchers Freestyle program. This post main contain affiliate links, if you make a purchase using one of these links this blog may receive a small commission. Thank you for your support.